The bug in NewFileTime with summer time and winter time has been fixed from version 2.91, this is validity for changes to of the timestamp no matter if directory or file! 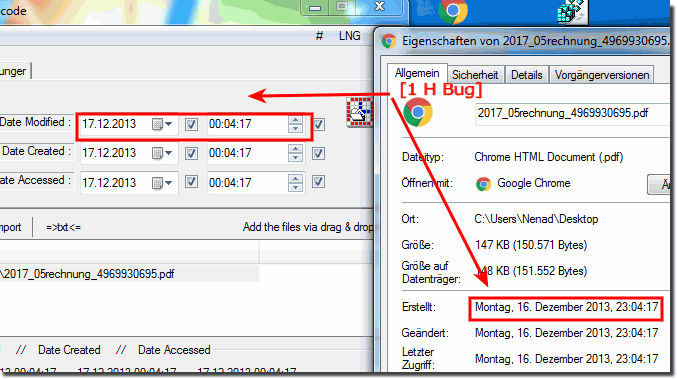 The summer or winter time and the time zone on Windows must be noted when changing the file time and / or folder time under Windows! Please ... use always the latest version of NewFileTime! (Image-2) Time Zones and Summer time BUG! You must take care when using file times if the user has set the system to automatically adjust for daylight saving time. 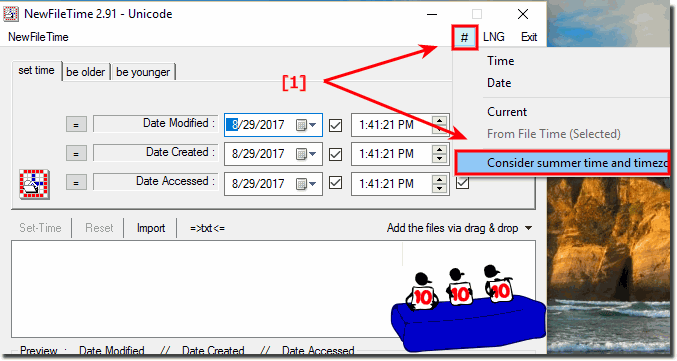 To convert a file time to local time, use the FileTimeToLocalFileTime function. The FAT file system records times on disk in local time. NewFileTime - FAQ-7: Bug with time zones / summer time!